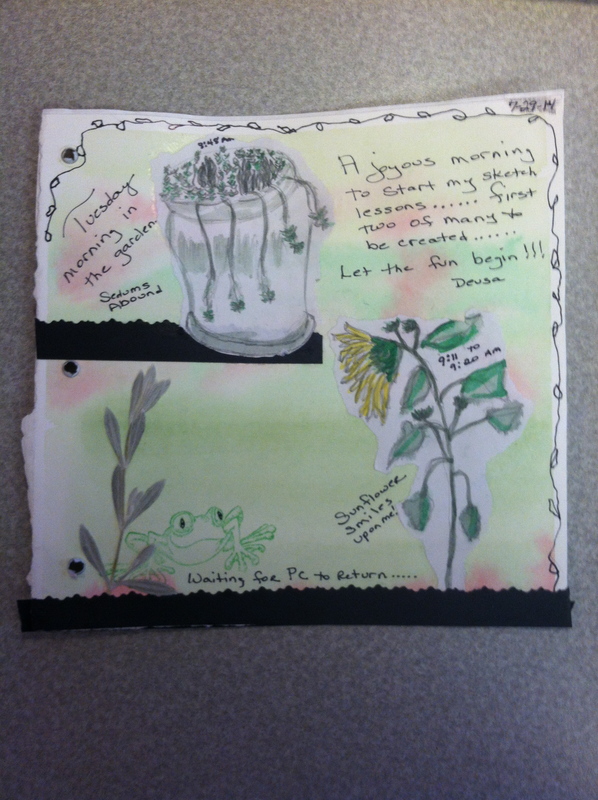 Nature Journaling Summer 2014 and beyond………. 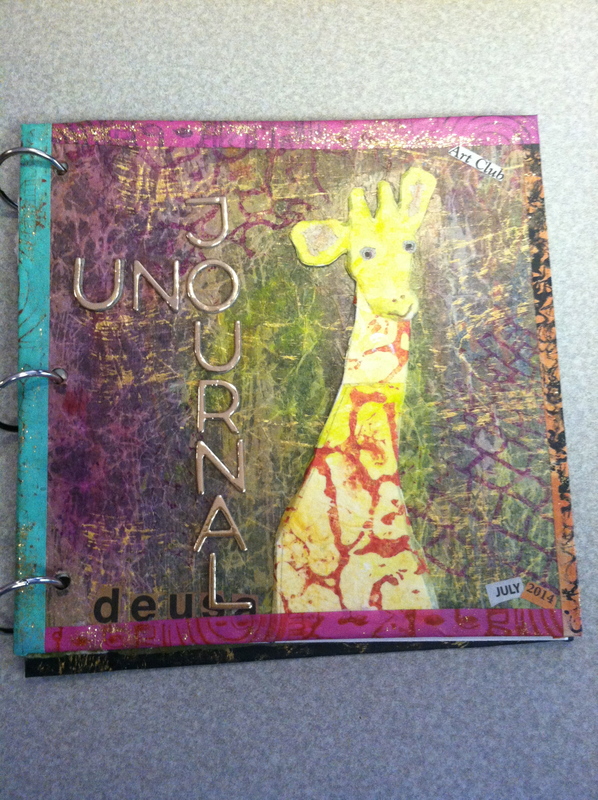 The “UNO JOURNAL” started to come into being on July 11th, 2014 in a class at Currents Gallery taught by DeannaWhite who is a very accomplished artist from Salem. Here is my fun journey………. This is my front cover that ended up having lots of learning curves. 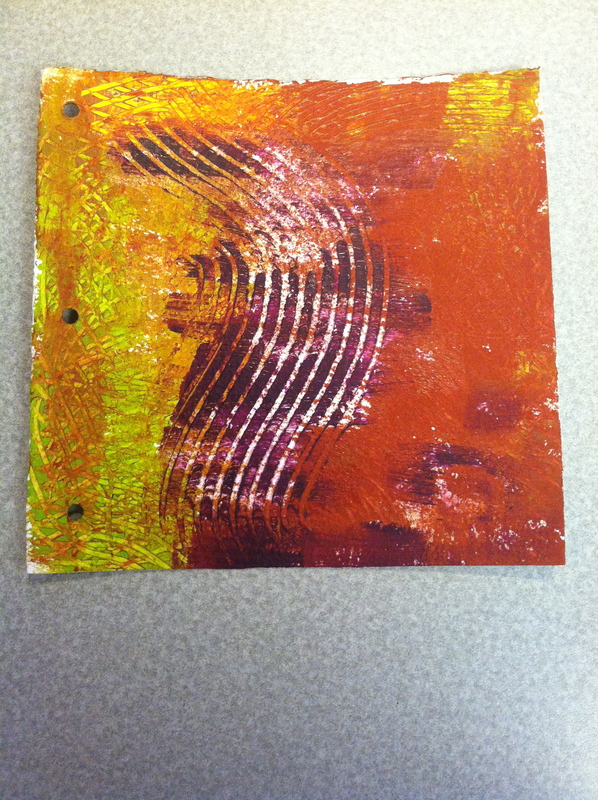 The back ground is paper that we made in class using acrylic paint and different tools to achieve texture. 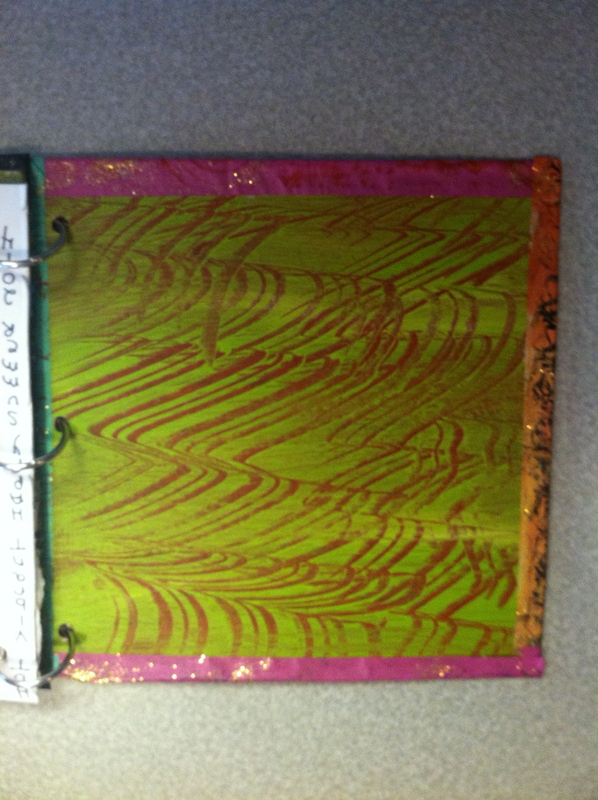 This is the inside of the front cover and is a design of acrylic paints using tools to spread the paint. The edging are strips of masking tape that has been painted and embellished with designs and then used to wrap the edges of the cover. 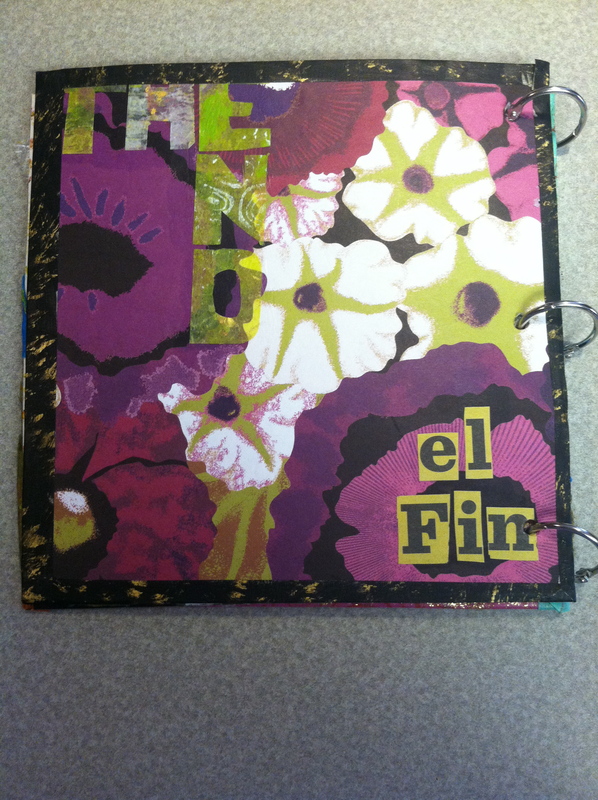 This is the inside of the back cover and again the edging was tape painted black and embellished with gold. 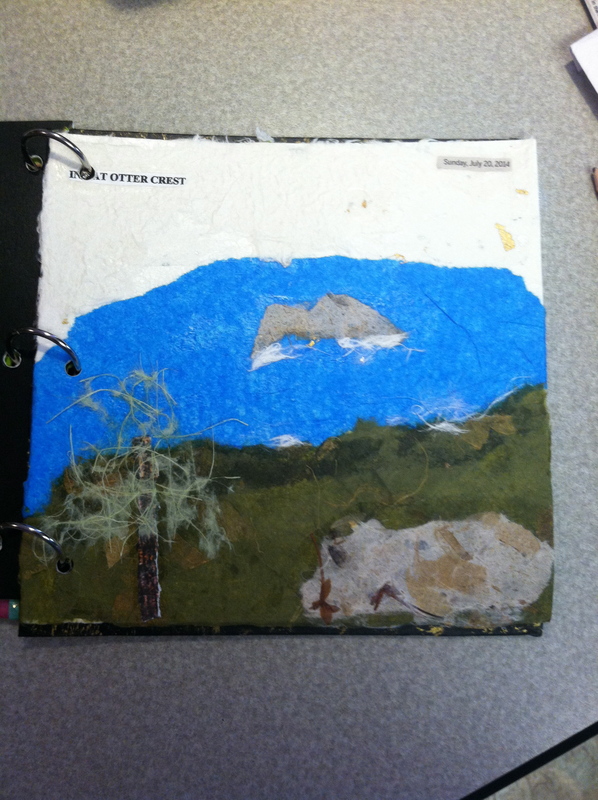 This page is a representation of the view from our room at The Inn at Otter Crest where it was created. 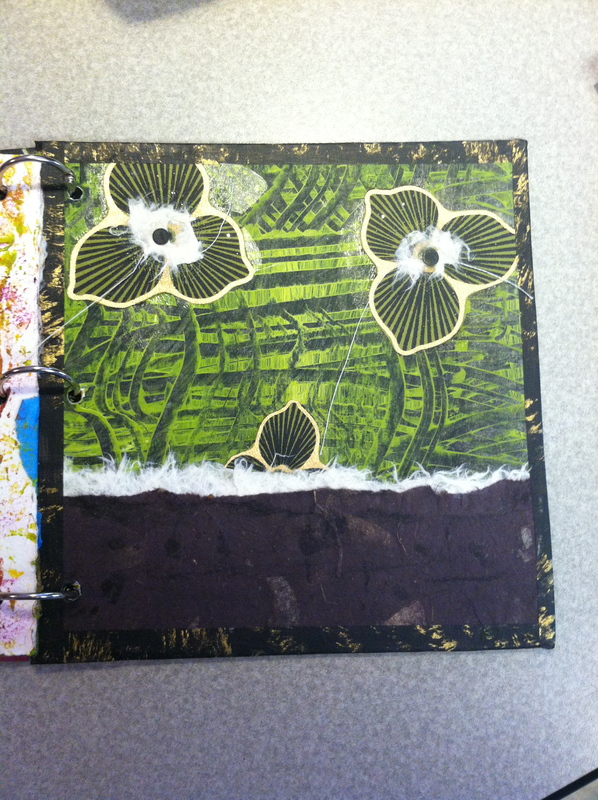 Our second class on 7/25/14 developed more teniques on moving color and also the instruction on creating the edging tape used on the from and back covers. 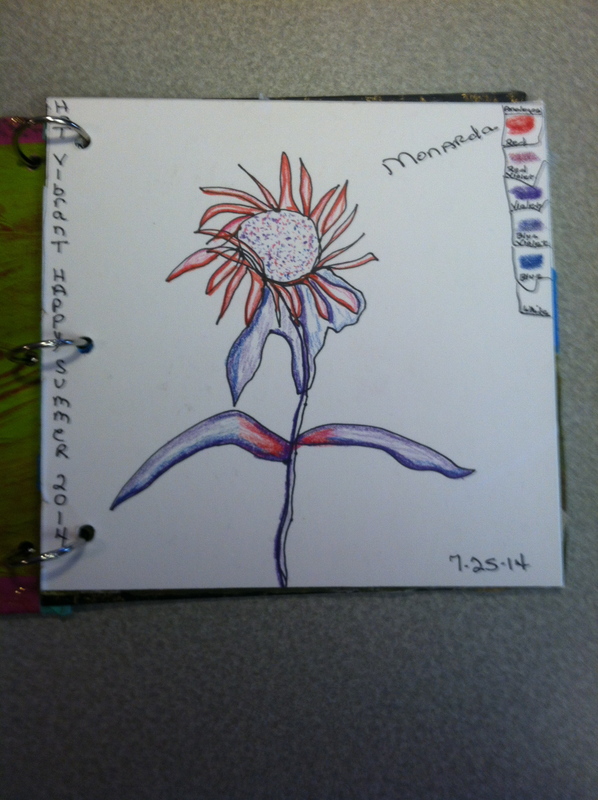 The instructor then had us do a pen drawing of a flower (Monarda) without lifting the pen from the paper and then working on a color spectrum using colored pensils. Not my fav work but will show how it all started and the progress. Tuesday morning I was finally able to slip away to the garden and after watering started drawing a pot of sedums and a sunflower in the garden. The afternoon was spent creating the page and I must say I am tickled just how it turned out. This is fun!! !